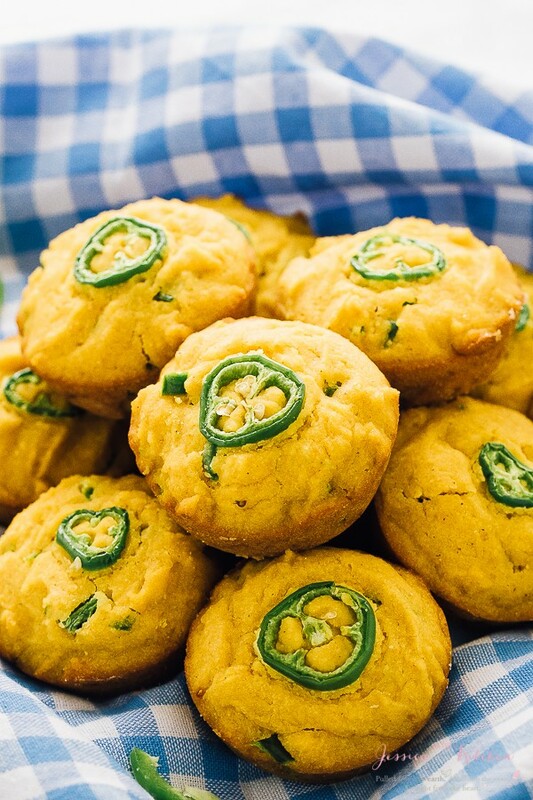 These Gluten Free Cornbread Muffins are moist and tender and made with jalapeños! They have a delicious spicy kick, are vegan and are made with healthier ingredients! Friends, I’m in full blown Thanksgiving vegan recipes mode by now. It’s almost two weeks away (what?!) and having all your delicious recipes in your arsenal is key. These gluten free cornbread muffins for example, and definitely happening on Thanksgiving for me. I’m talking moist, tender, fluffy and with an insanely delicious light kick of spice thanks to the jalapeños addition. You need to make these. 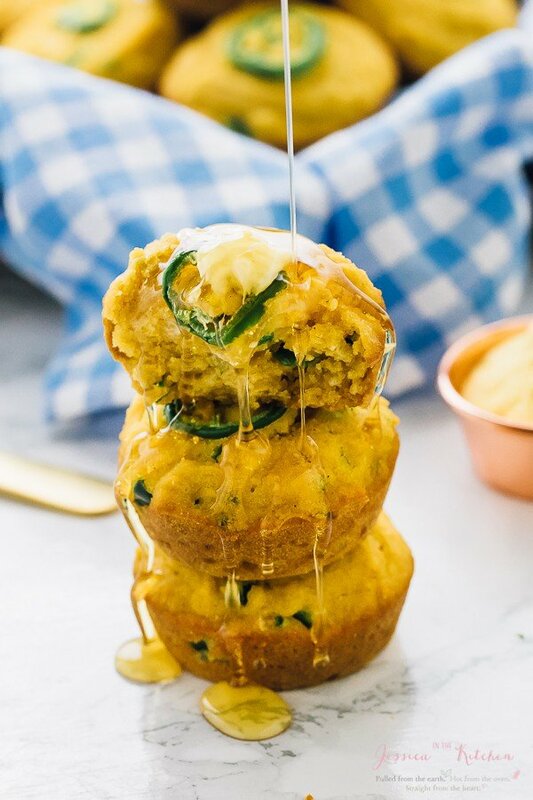 We aren’t going to get into any unnecessary chit chat (…right) but dive right into these gluten free cornbread muffins. I’ve always loved cornbread, and have always loved making it. This time around I wanted to try something a bit different – making them vegan, gluten free and into muffins. Whoa, pull out the drawing board. Transforming regular cornbread into gluten free cornbread is actually a lot easier than I thought it would be. I sat down with my usual stack of papers and millions of measurements and worked away until I found a great recipe combination. I referred to my trusty Williams-Sonoma cooking book for basic ingredients and went working from there. After a few successful trials and ahem, numerous amounts of taste testing, I was ready to share these beauties with you. I have to warn you: these muffins are incredibly addictive. The cornbread is not at all grainy, and works perfectly with the gluten free flour. The mix of maple syrup and cane sugar give a slightly sweet taste to give you that sweet cornbread taste we all know and love. The vegan buttermilk helps to lighten it all up. The pumpkin puree, OH the puree, helps to keep it beautifully moist even with 1 ¼ cup of cornmeal. Then there’s the jalapeños. 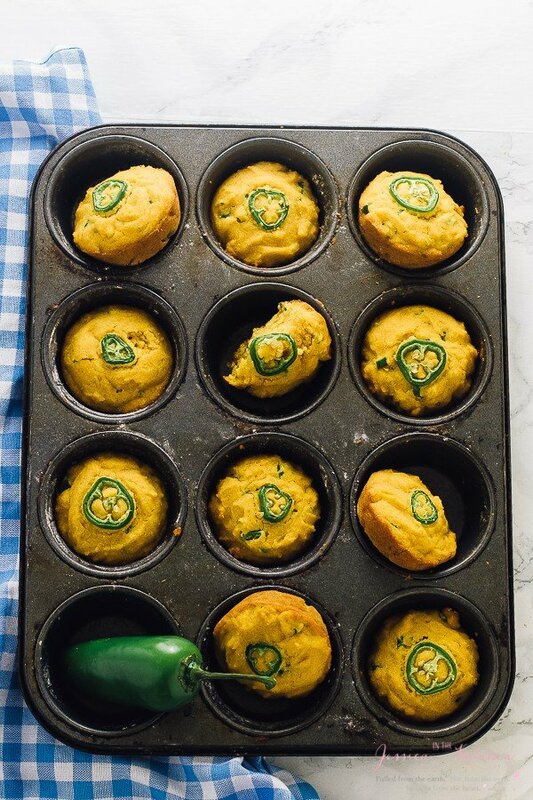 I may never make cornbread again without jalapeños. That kick of spice is unbelievably appealing. It’s not even that spicy, no worries, but it’s such a beautiful hint that you know these aren’t any regular ‘ole gluten free cornbread muffins. If you want to cut down the spice, just remove the jalapeños from the tops of the muffins. I put them there more for presentation that anything, but they definitely up the spice factor. These are definitely going to be a favourite at your Thanksgiving table. 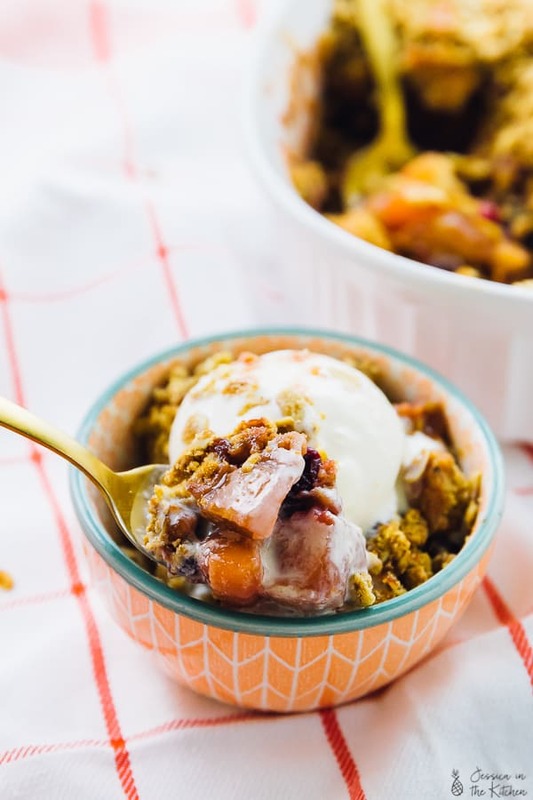 Thanks to the ingredients, everyone can enjoy them despite dietary restrictions, while also knowing that they are also healthier than normal at just 118 calories each. Remember to serve these up with some vegan butter and a drizzle of maple syrup. It’s cornbread custom. Surprise! There are actually health benefits to these muffins! Pumpkin puree – these muffins have lots of fiber and bursting with Vitamin A thanks to the pumpkin puree. They are much healthier than your standard cornbread thanks to cutting down on the oil, replacing fat with pumpkin and reduced sugar. Jalapeños – the spice from the jalapeños actually aids digestion. Almond milk – the almond milk boosts the calcium levels of these muffins. Q: Can I make these without gluten free flour? 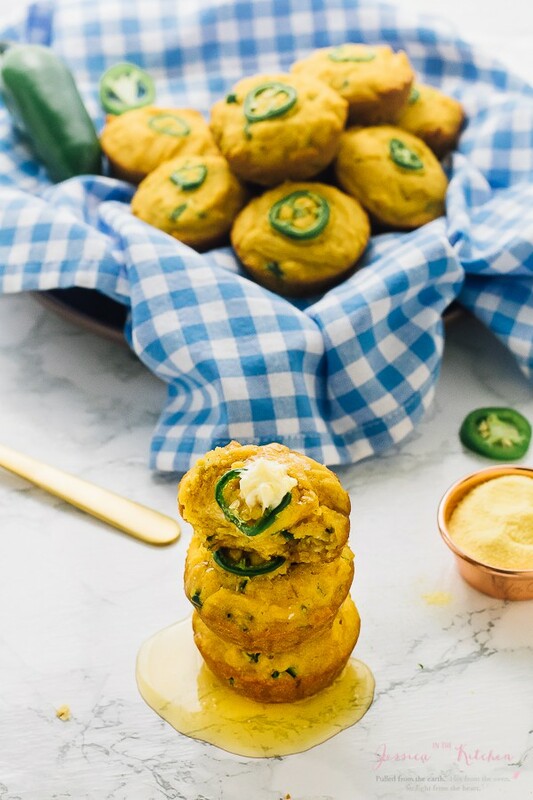 If you try these Vegan Gluten Free Cornbread Muffins please let me know in the comment section below, or tag me on instagram with the hashtag #jessicainthekitchen! For more exclusive recipes follow me on Instagram AND on Snapchat: jessinkitchen. Line a muffin tin with cupcake liners. If not using liners, grease lightly with coconut oil or spray with baking spray. Set aside. In a large bowl, mix all the dry ingredients together. Set aside. In a smaller bowl, mix all the wet ingredients together slow to incorporate, then a bit quicker to mix together properly. Pour the wet ingredients into the wet and mix until combined. Add in the diced jalapeños and mix gently. Spoon equally throughout the 12 muffin cups. Add a thin slice of jalapeño to the top of each and press down gently. Bake for 18-22 minutes. The muffins are done when they bounce back slightly to touch. These cornbread muffins can be stored in an airtight tupperware container on the counter for up to 5 days. You can also use them as a base for your cornbread stuffing recipe. Thanks so much Beverley! Cornbread is so great!! So we guess at what temp to cook at? Haha, definitely not! It’s 350 degrees F, left that out by accident. I made the cornbread today and it was fantastic! I didn’t have jalapeños but I had everything else in my pantry. So fluffy and light. I haven’t tried it with this but it should work! I would use a lite coconut milk, but also double check that they don’t have a tree nut allergy too! If they do, you can also use rice milk. I hope that helps and enjoy!! Thank you! Yes, she has a tree but allergy but can have coconut! Thank goodness! Everything we are bringing is gluten free (I have celiac and avoid dairy), my daughter is vegan and we generally use a lot of almond milk. We are glad we can use coconut for this occasion since we have to avoid all other tree nuts. Thank you…I’ll let you know how it turns out! Okay, fabulous!! You’re so welcome and I hope you enjoy!! Happy Thanksgiving when it comes!! I just go should the batter be pretty thick? 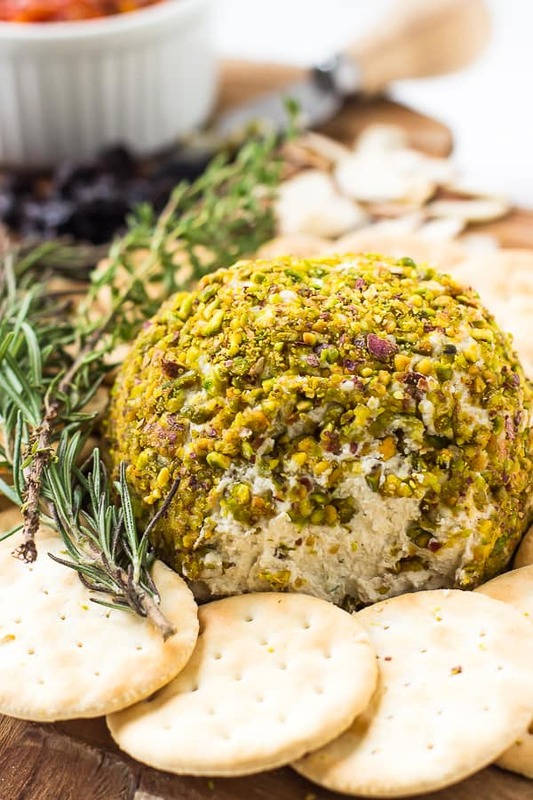 I’m making this with homemade cashew milk. Hi Nuffy! first of all thanks for the site love! The cornbread muffins are definitely savoury already! We hope you enjoy!! THANK YOU! I’ve always wanted to make cornbread but never have, and I decided to finally give it a shot for a potluck I’m going to tonight. I only had one shot to get it right, and it turned out perfectly. Perfect. You’re so very welcome and I’m so happy that you enjoyed it so much! Aww thank you so much Teresa!! You just reminded me that I need to make this again! Another winner! I was looking for a vegan cornbread recipe to go with my black-eyed pea soup for New Year’s and once again, one of your recipes came to my rescue! I did end up making a few substitutions since that’s what I had on hand. I used sweet potato instead of pumpkin, medium grain cornmeal and regular all-purpose flour. But it still came out great! I’m secretly hoping that we run out of cornbread before we finish the soup so I can make it again! Thanks again for another great recipe! Thank you for this delicious recipe. 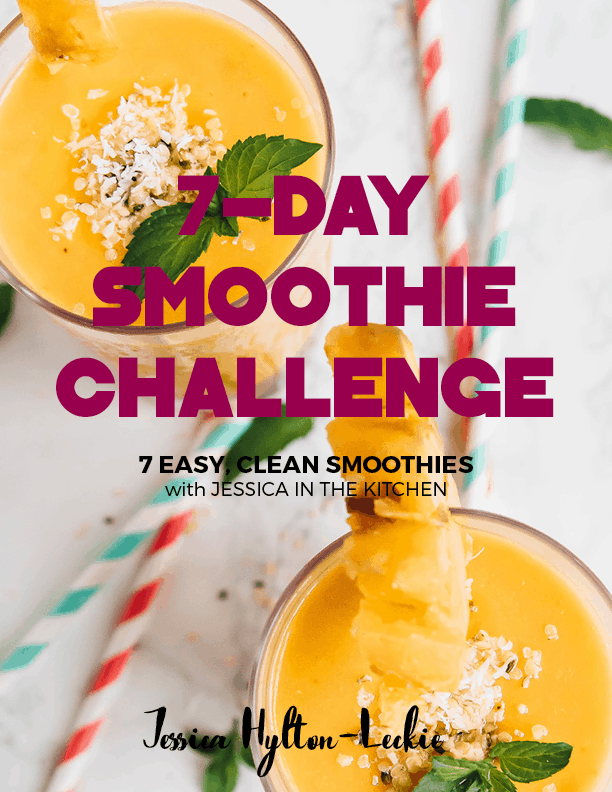 I’m currently on a Low FODMAP diet and these include ingredients that I can eat. Plus they are so good and pretty easy to make! Thank you so much! You are so welcome Nikki! We’re happy that you like the recipe! Thank you for reading!